Which is an award given out at DragonCon. It’s a finalist in the category of Best Science Fiction Novel, which makes perfect sense, really. Here’s the full ballot (there’s more than a dozen categories), and if you’re inspired to vote in one or more of those categories, here’s how you register to do that. As long as you have an email address, you’re eligible to vote. You can vote through August 28th, and the awards will be given out at the convention. This is actually the second time I’ve been a finalist for a Dragon Award, as I was on the ballot last year for The End of All Things. I declined the slot because I was taking a year off from awards generally, but it’s nice to know my work was remembered again this year. The award has existed for two years, so now my work is 2-for-2 for getting on the ballot. Can’t complain about that. Thanks to the folks who nominated the book! I’m glad you liked it. 1. No, I won’t be at DragonCon for the awards ceremony. I’m counter-scheduled at the National Book Fair in Washington DC that weekend. 2. If you plan on voting, please vote for the finalist work you like the best, even if it’s not The Collapsing Empire. I mean, this should be obvious. 3. Yes, I’m aware some folks who could generally be bundled into the “Puppy” rubric are also finalists. Good for them. The general “Puppy” movement seems to have strongly identified itself with the Dragon Awards, so it’s not at all surprising there are several finalists coming from that quarter of things. 4. Also, yes, I’m aware at least one other Dragon Award finalist is currently spitting bile in my general direction. My response to this is: Oh, honey. Maybe get a new hobby. That’s as much as I’m going to think about that, or any other bile-spitting on this subject that might occur, and I suggest you all do likewise. 5. Indeed, I’d be fine not relitigating the largely-manufactured-by-opportunists science fiction culture wars of the last few years in this comment thread. I’m tired of it at this point, and I don’t really plan to wind myself up over this particular appearance on the Dragon Award ballot. It’s nice to be a finalist. If I win, it’ll be nice to win. If I lose, that’ll be fine too. 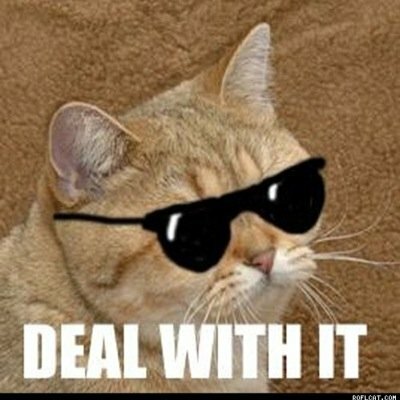 At this point in my career I feel pretty relaxed about awards, and the winning or not winning thereof. Will miss you at Con! By the by, your tag “READING MURDER BOOKS AND TRYING TO STAY HIP” perfectly describes me right now, except I’ve given up on being hip. I find that helped me be somewhere in between hip and not hip and I’m happy with this stasis. I enjoyed reading at great deal. Fascinating people, great story. But cliff hanger ending? Really, John? I dealt with the cliffhanger ending by not reading the book! I’ll wait till they’re all out …. And congratulations. Oh, this is a quandary for me indeed! 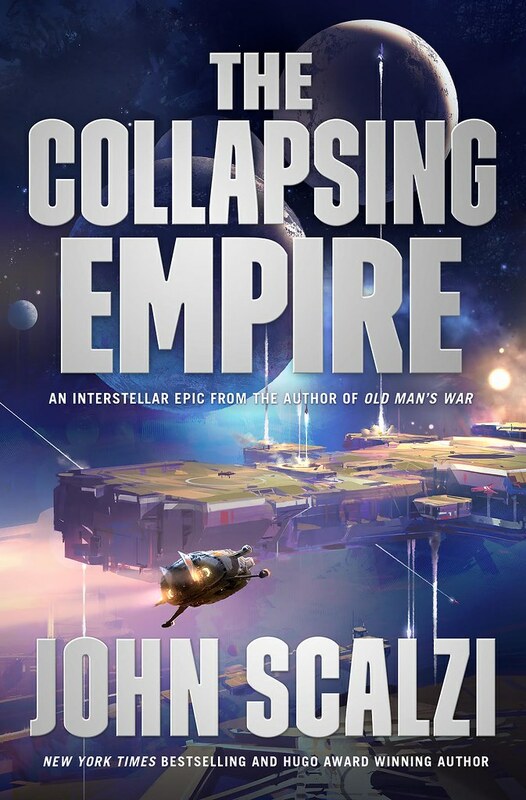 COLLAPSING EMPIRE and BABYLON’S ASHES are both NEXT LEVEL AWESOME novels I cannot choose between. It’s basically Lady Kiva Lagos vs Bobbie Draper. This is a tough one! So, last year I registered to vote for the Dragon Awards and did, indeed vote. But when I heard the nominee list (congrats, John, a well-deserved nomination! ), I just assumed I needed to re-register. So I tried…only to be informed my email was already registered. But, no ballot. Or any attempt to contact this registered voter. I am not saying that there might be an effort to exclude the kind of voter that would vote for people like Scalzi and Jemisin in the past. Not saying that at all. I’m sure it’s just some kind of technical mistake. Which will be promptly responded to by the people in charge. They seem to have sent ballot links out to accounts that were registered last year. Double check your spam or promotions tab (if gmail). I did. Nothing in Spam or trash. Apparently it came from Survey Monkey. They did respond to me promptly and promised to push out another ballot to me tonight. Hopefully that will happen.